Manila, Philippines—Ortigas & Co.’s well-loved shopping and family entertainment destination, Tiendesitas reopens its first building this November to offer twice as much space and twice as many dining, retail, and lifestyle picks in time for the holidays. The undisputed haven for unique Filipino finds has been drawing local and foreign shoppers since 2005, with its 30,000 square meter space dedicated to seven retail categories or “villages” and its unique brand of week-night and weekend entertainment. “We see the upcoming holidays as an opportune time to reopen and to provide amenities such as wider aisles, elevators, escalators, and additional parking slots. Our shoppers will also be glad to know that we have made the retail area fully air-conditioned. To our shoppers, entering the brand new building promises a more exciting and leisurely shopping experience,” says Cathy Casares-Ko, General Manager of the Shopping Center Division, Ortigas & Co. The spanking new Fashion Village, which is the first of three to rise between 2013 to 2016, now stands two floors high, with 12,300 square meters of retail space, 113 additional basement parking slots, and 250 new tenants. Upon completion of the next two buildings, Tiendesitas would have a total of 35,000 square meters of retail space divided into nine retail categories: food, pet, entertainment, general merchandise, handicrafts, fashion, antiques, novelties, and the people’s village. In spite of the modern amenities, Tiendesitas maintains its distinct charm through a novel execution of Maranao architectural elements as seen in its pavilion, and matching it with an indoor-outdoor feel through high ceilings and the provision of balconies. “The new tenants that have joined us recently do not disappoint in terms of delivering one of a kind products,” adds Ko. From an assortment of collectibles at Ram Eisley, quirky items and furniture at The Stockroom, apparel at H&B, Link, and Blusa, up to wellness and cosmetic products at GiGA and Props Tools and Cosmetics, new stores have added zest to an already flavorful mix of old-timers, who have made Tiendesitas the stunning retail stop that it is now. Tiendesitas is the anchor of the 18.5-hectare interim development Frontera Verde, which also houses SM Hypermarket, Fun Ranch, Ark Avilon, Transcom Center, a Shell Gas Station, and a planned 6-building Knowledge Process Outsourcing Campus Development, Silver City. Frontera Verde is owned and managed by premier property developer Ortigas & Co.—the same company behind Circulo Verde, Capitol Commons, Greenhills Shopping Center and the Greenhills Subdivisions, Greenmeadows, and Valle Verde. 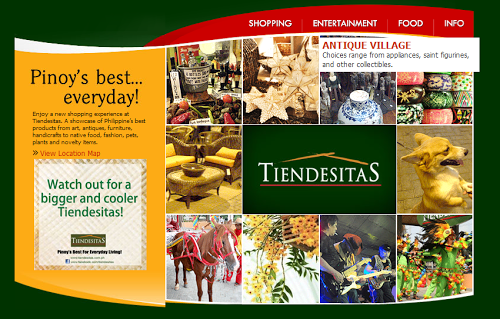 For more information visit www.Tiendesitas.com.ph. 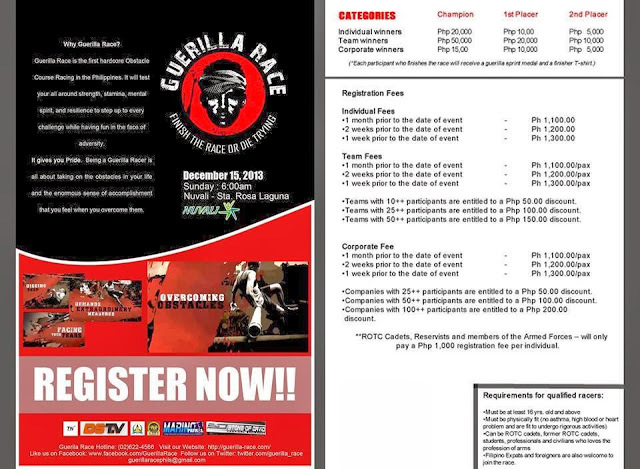 Guerilla Race- Finish the Race or Die Trying! Step up in the face of adversity and put your strength, stamina, mental spirit, and resilience to the test in the country’s first obstacle-driven TrueNorth Guerilla Race happening this December. Developed by a Philippines Army scout ranger, the race will push you to the limit and get you out of your comfort zone with a battery of obstacles set in mud, fire and water. Crossing the finish line will be a testament to your personal drive, determination, and will to conquer any challenge that is put in front of you. Armed with an arsenal of tough obstacles, there will be water, fire, mud, barbed wire, high walls, pipe crawls and the occasional crazy challenge set to catch runners off guard and leave them dumb-founded. But as with all challenges, a helping hand will be needed. So to overcome 8 foot walls and make your way through underground mud tunnels, camaraderie amongst runners will be the key to success. For those who will throw their bodies into the progressive trail, 1,000 timing chips will be on hand to record your movement. So if you like to push yourself to the limit, or feel that you have what it takes to take on the extreme, then the TrueNorth Guerilla Race is for you! The TrueNorth Guerilla Race is organized by TrueNorth training camps and DSTV. DSTV is a cable channel of the department of defense. 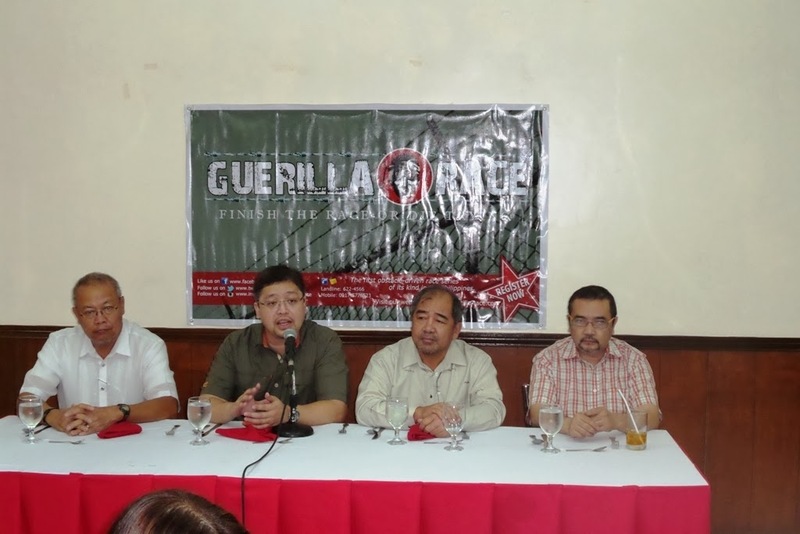 Standing: Sean Paler of True North Training Camp, Guerilla Race Organizers General Victor Ibrado, Consultant Col Dennis Bumanglag, Gen. Abner Cabalquinto, and DSTV's Norman Castillo. 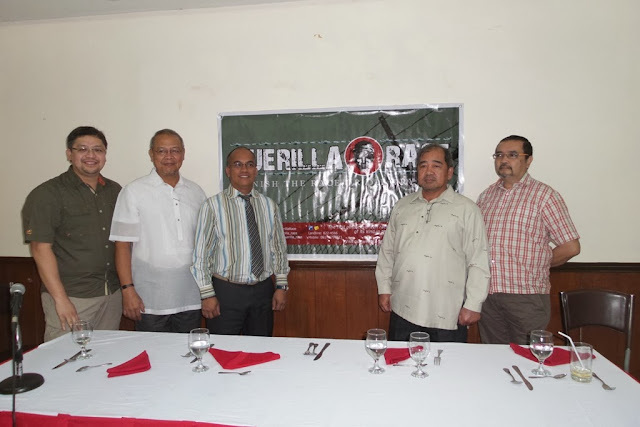 Caption from left: Guerilla Race Organizers General Victor Ibrado, Sean Paler of True North Training Camp, Gen. Abner Cabalquinto, and DSTV's Norman Castillo. 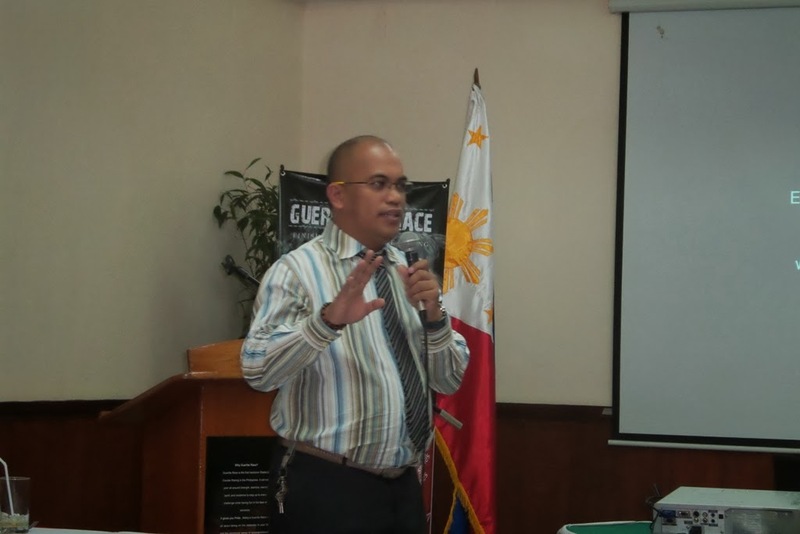 Guy speaking on the microphone: Guerilla Race Consultant Col Dennis Bumanglag. November 21, 2013 - Solar Entertainment Corporation (SEC) announces a new channel assignment for its leading youth channel, ETC. Starting November 30, 2013 ETC can be seen on UHF channel 21, Sky Cable and Destiny Digital Ch. 16, Global Destiny Ch. 28, Cignal Ch. 9, and Cable Link Ch. 34. With the move, SEC has laid down plans to boost the reach of ETC to viewers. According to SEC’s Chief Technology Officer Ralph Joseph S. Roy, by early next year a new state-of-the-art analog/ digital 60KW transmitter will be built for the channel. Running at a higher capacity and with a higher elevation, this looks to boost ETC’s reach to viewers in Mega Manila by 30 percent. For the rest of the country transmitters will go up in key areas such as Bacolod, Cebu, Zamboanga, Davao, and Legazpi. 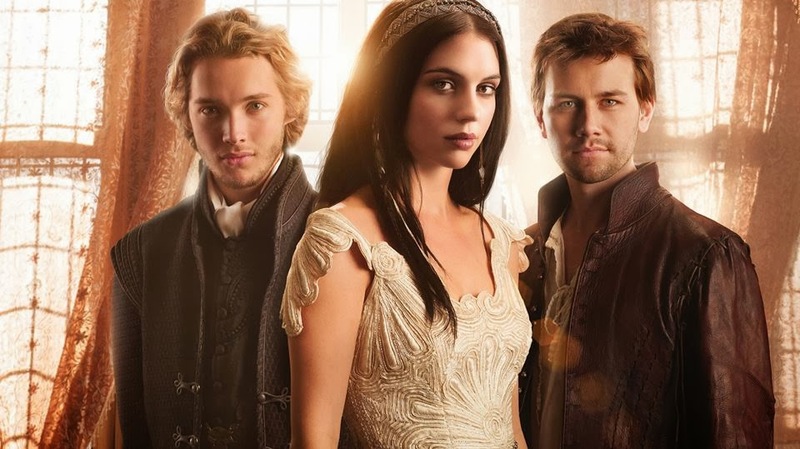 From Monday to Saturday, ETC offers viewers the hottest and latest shows and episode’s straight from the United States. 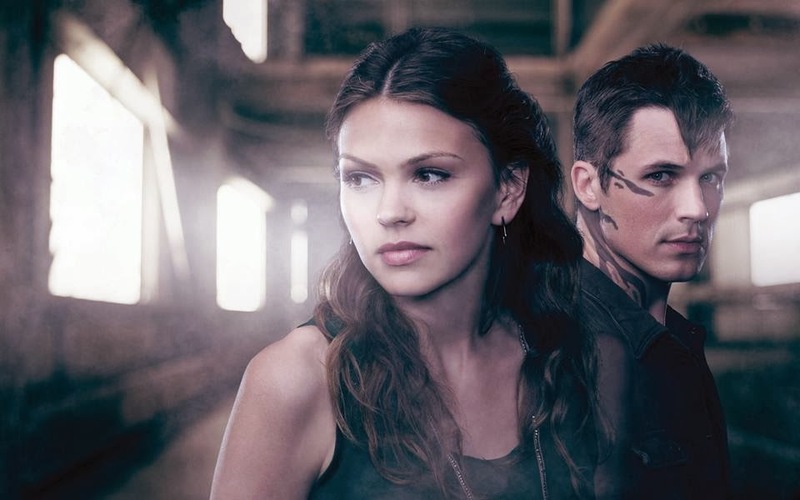 Stay up to date in the world of entertainment with the channel’s vast lineup of Match-Airing titles that include: award-winning musical Glee, hilarious sitcom’s New Girl and Super Fun Night, supernatural drama’s The Vampire Diaries, The Originals, Ravenswood, and Beauty and the Beast, and the colorful 80’s teen drama The Carrie Diaries. 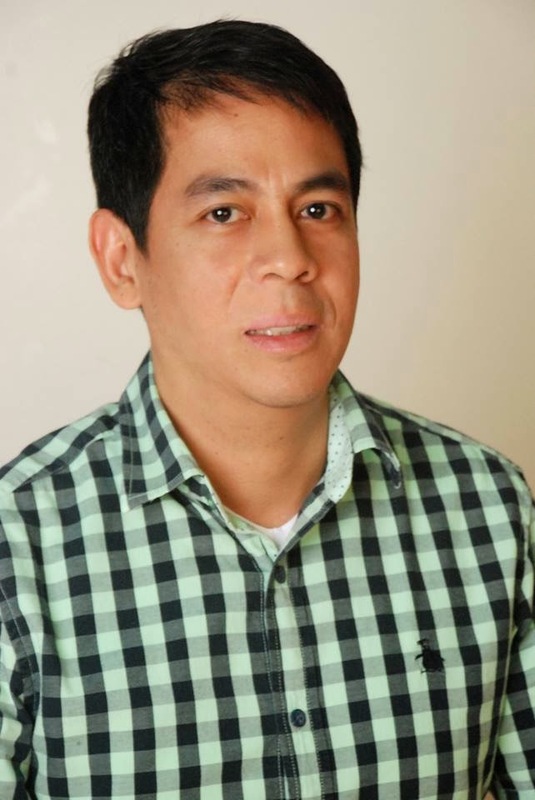 Starting November 30, 2013 ETC is seen on UHF channel 21, Sky Cable and Destiny Digital Ch. 16, Global Destiny Ch. 28, Cignal Ch. 9, Cable Link Ch. 34 and various cable operators nationwide. Make a HIPP choice, go organic. As a parent, there’s nothing you want more than to provide for your child’s health and happiness. Choosing to give your little one the right kind of nutrition early on can go a long way towards giving them a good start in life. 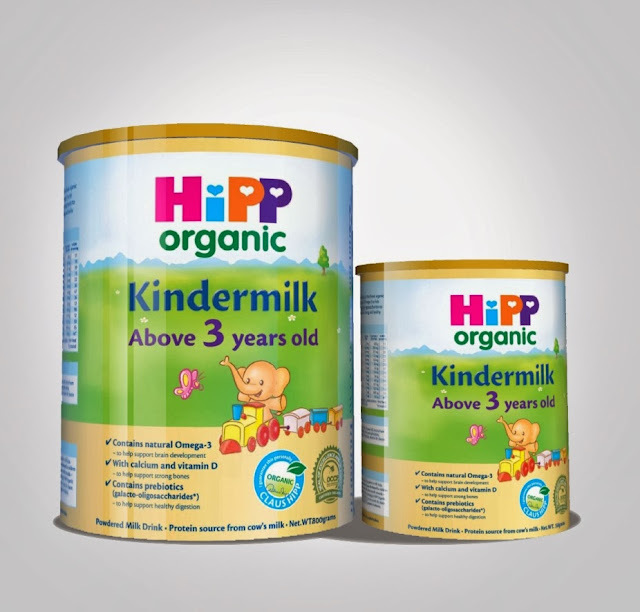 Inspired by the benefits of nature, HiPP Organic Kindermilk is specially formulated using only the finest organic milk. HiPP is one of the leading baby food companies in Europe, with nutrition expertise going back 50 years. They exercise the strictest tests in every stage of production, ensuring that the product remains pure and free from unwanted chemicals. Their special Organic Formula is Certified Organic by the Organic Certification Center of the Philippines (OCCP) and by the European Union (EU). HiPP Organic Kindermilk, which will soon be available in the Philippines, is the ideal complement to a child’s diet from 3 years onwards. It contains natural Omega-3 to promote brain development, calcium and Vitamin D to help strengthen bones, galacto-oligosaccharides to aid digestion, and other vitamins and minerals crucial for the growth and development of your child. Only the best from nature will do for HiPP, and only the best formula will do for your child. Choose organic.